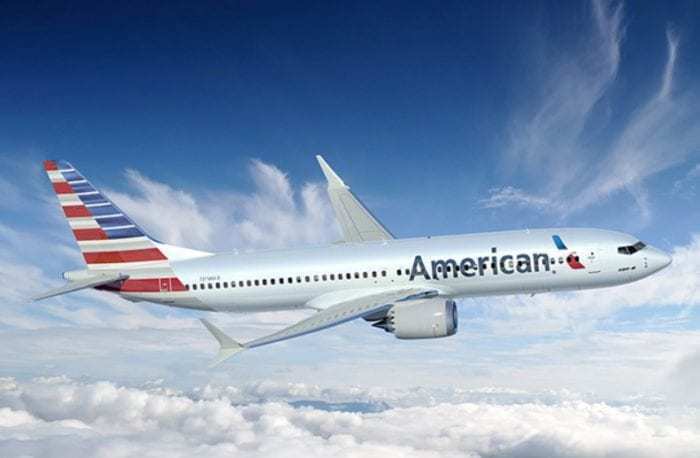 An American Airlines flight attendant spilled a tray of drinks during a flight from Phoenix to Dallas the other day. She didn’t spill the tray of drinks on just anybody though. As a matter of fact, the drinks ended up in the lap of American Airlines CEO Doug Parker. Phoenix Sky Harbor International Airport is one of American Airlines’ hubs. Photo: Phoenix Sky Harbor International Airport. Flight attendant Maddie has worked for American Airlines for four years. She had never spilled a drink during her entire career as a flight attendant. But things changed the other day. The story, as told by her, was shared on Instagram. Here is the Instagram post. Maddie was serving sparkling water as well as mixed drinks to passengers before the aircraft’s departure for Dallas/Fort Worth International Airport. For some reason, a passenger walking in front of her suddenly stopped and decided to back up. Unfortunately, the passenger hit the tray Maddie was carrying. As a result, she spilled the drinks and they went everywhere. Nevertheless, apparently, Doug Parker was not really upset about the situation. On the contrary, he was joking with Maddie about it the rest of the flight and told her that he’d “never forget” her. Doug Parker is American Airlines‘ Chairman and Chief Executive Officer. He has been in his position since 2013. Before serving in this position, he was the Chairman and CEO of US Airways. Before the US Airways and America West Airlines merger in 2005, Parker was the Chairman, President, and CEO of America West. According to AZ Central, Parker had traveled to Phoenix to attend a luncheon with the Economic Club of Phoenix. Arizona State University’s W.P. Cary School of Business recognized American Airlines’ CEO as “Executive of the Year” during the luncheon. Furthermore, Parker talked about the grounding of the Boeing 737 MAX aircraft and the impact on the airline during the event. He mentioned that it is very likely that the airline will have to cancel more flights in the future. American Airlines, however, is trying to minimize the impact on its passengers. 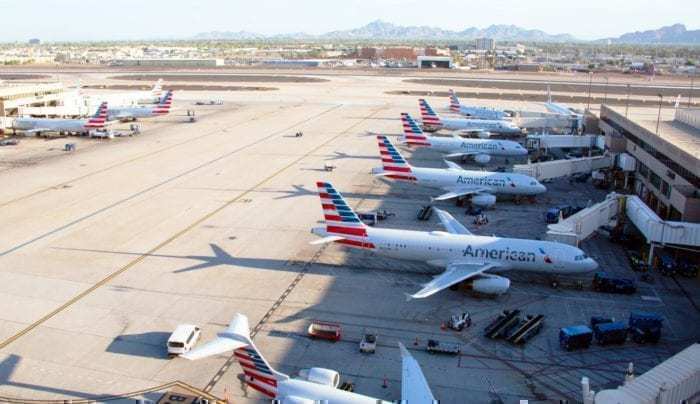 All Boeing 737 MAX 8 aircraft remain grounded. Photo: Boeing. As a matter of fact, on Sunday, American Airlines extended the cancellations through June 5th. Presently, the airline is canceling as many as 90 flights every day. Has a flight attendant ever spilled drinks on you during a flight? Share your experience with us. Yes, I had an FA spill some red wine on a beige sport coat when she bumped the center seat tray that held the glass. Yes, it was on American — long ago in a 727-100. She immediately took the coat and cleaned the spot with club soda. It worked perfectly. I filled out a “how did we do?” form that did not say who or how it was spilled and asked her to mail the form whcih I had not sealed on purpose. She peeked to see what I said — high praise for her — and, as I deplaned, habded me a bag with about a dozen minatures in it. Three cheers for a CEO with a great sense of humor. The world needs more of them! Never happened to me only thing that got spilled on me was a bag full of peanuts/pretzels but they were still sealed the flight attendant just had problems trying to get the packaging open and the packets of peanuts and pretzel packages just went everywhere. In the early 90’s on a flight from Seoul to Honolulu with a plane change in Tokyo. We were barely into the Seoul to Tokyo leg when the FA tried to pass drinks across my aisle seat. She lost her balance spilling the drinks on me. And while trying to recover she stepped on my broke foot. She was very embarrassed and apologetic. I assured her that stuff happens and I wasn’t upset. When I boarded my connecting flight in Tokyo I was surprised to find that I had been upgraded to first class! First thing that got my attention was the fact the CEO was flying a commercial flight! That alone was impressive, then he took the incident as what it was an Accident and took it well. I have had drinks (singles not a tray!) spilled on me and my clothing, however a boss of mine years ago on my same flight had hot coffee spilled on him, most of a carafe he was lucky and avoided being badly burnt. I think that was on delta, they found him a clean shirt to wear as his was wet and stained. where they got it I never figured that out. I’m obviously way older than others who have responded. College kid, maybe 18, late 1950s flying Capital Airlines (remember?) from LGA to Willow Run (I’m pretty sure) in Detroit. Stewardess spilled an entire pot of hot coffee all over my shirt and pants and then begged me not to say anything to anyone because she said she would lose her job. Well, an 18 year old kid, what do you think? I of course didn’t speak up. I suppose I took the stuff to the dry cleaner in Ann Arbor. I wasn’t burned at all, BTW. Everyone has some kind of story! It seems that the PASSENGER spilled the drinks, not the flight attendant. Sure, the tray was held by her, but the passenger was the one who upset the tray. As a former flight attendant, spilled drinks are part of the job. Can u serve 150 drinks at 35,000 feet in turbulence in tight quarters and not? Funniest incident for me was when a whole bag of ice split open and fell into a passengers lap. He was part of a German tour group and they all started laughing and shriking with laughter in german. The man was very good natured about it. Most folks are.